SAULT STE. MARIE – Members of the Sault Ste. Marie International Bridge Authority (SSMBA) board at their quarterly meeting Thursday paid tribute to the board’s chairman, James McIntyre, who died Feb. 11 as the result of an accident. NEWBERRY – The southbound lanes of I-75 in Chippewa and Mackinac counties reopened Wednesday, bringing the summer’s I-75 detour to an end. Only temporary single-lane closures will be required on the southbound lanes during the coming weeks as the project is wrapped up. 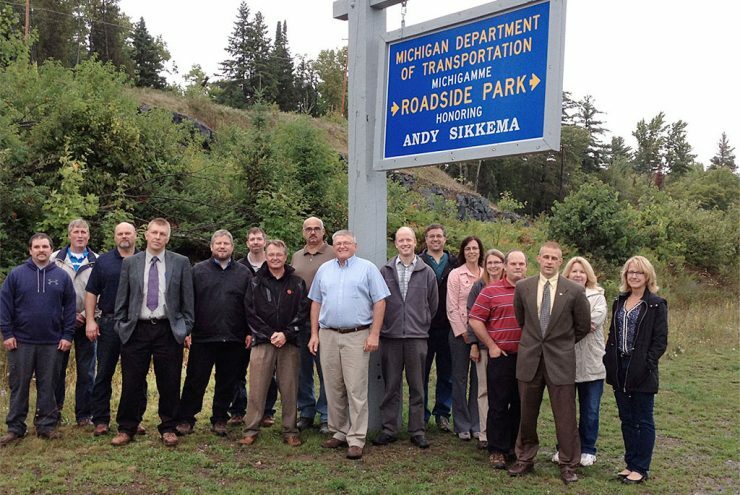 ISHPEMING – Andy Sikkema spent many years as the person at the Michigan Department of Transportation (MDOT) who hung the signs honoring other people. Now he’s getting a sign of his own. SAULT STE. MARIE — The International Bridge Administration (IBA) says the summer peak traffic season progressed without major congestion issues from the 2-year, $8.9 million Toll Plaza construction project. 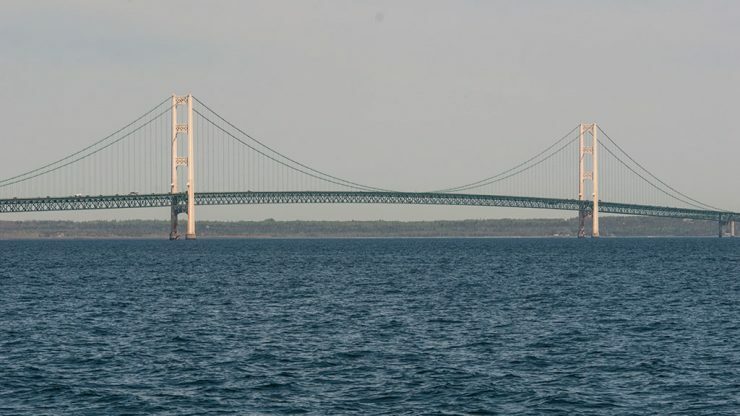 ST. IGNACE — Citing improved financial projections and aggressive maintenance work extending the service life of the bridge, the Mackinac Bridge Authority (MBA) has again delayed the next planned toll increase at least two more years. LANSING – Two counties in the Upper Peninsula where among six to receive state transportation economic development grants from the Michigan Department of Transportation. The six Transportation Economic Development Fund (TEDF) grants total more than $6.8 million. MDOT to begin summer road construction projects in U.P. LANSING – The Michigan Department of Transportation will begin several road construction projects next week in the Upper Peninsula. They will begin resurfacing about 8 miles of U.S. 2 from Iron Mountain to Norway. ST. IGNACE – A section of I-74 in Chippewa County will be closed to vehicles until late August to allow the Michigan Department of Transportation to replace a culvert. ESCANABA – The Michigan Department of Transportation Office of Economic Development announced that an estimated $250,000 will be invested in transportation improvements to Mead Road or County Road 59 to accommodate new construction of a chemical plant near the Escanaba Paper Mill. HANCOCK – The Michigan Department of Transportation will be holding a public meeting June 19 to share plans for a major maintenance project on the Portage Lake Lift Bridge between Houghton and Hancock. The project is scheduled to begin this winter.